Addiction is a vice that the society continues to battle with on a day to day basis. As a matter of fact, the number of addicts is ever increasing. The availability of drugs and slack in government regulations is partly to blame. Consider the fact that many drug related deaths today are result of prescription drug overdoses yet these drugs are readily available to anyone with a prescription and even in the black market. How is it that a medication that was purposefully intended to treat diseases is the exact cause of death? Don’t forget alcohol, which is the drug mostly abused. It is cheaply available and there is no law against it. The idea that these “acceptable drugs” should not be regulated is one that is costing society. The government has had to bear the cost of about $25 billion dollars in addiction treatment and loss of productive labor. Unfortunately, this is just the beginning. The pressures of life are driving more and more people to drugs and addictions just to alleviate the situation in the short term. Eventually, this never works and the situation becomes worse than it was. For a majority of the population addiction just starts a simple experiment, you know. Just to know what beer tastes like. From that point, a glass becomes a bottle becomes two. Then a habit develops and dependency kicks in. The habit is no longer about discovering what beer tastes like. It is now a full blown addiction to a point where the individual cannot function without it. It is so unfortunate that what started as an experiment becomes and addiction and one that is hard to get rid of. People who have developed tolerance to the drugs such that they need additional doses to get the same effect as before. People who develop withdrawal symptoms when they are not on the substance and they cannot carry out normal activity without it. People who have neglected their duties on account of an addiction and has resulted in damaged relationships, broken families and lost jobs. People who continuously use a substance regardless of the harmful effects it has on their bodies. The case for every addict is different. The journey of addiction treatment and recovery is unique to every individual. Every addict follows their own path to recovery. For some, inpatient treatment is the best option because they don’t do to well with the pressures of life outside restricted treatment. Yet for others, such restrictions exacerbate the situation further and outpatient treatment is the best option for them. The duration of treatment and recovery differs significantly as well. It will take some addicts years of therapy while still for others a few sessions of counselling and medication will be sufficient. It is the first step of the process. The patient or his or her loved one contacts a treatment facility and enrolls. Getting admitted to rehab program is a pretty serious decision that many addicts do not like to make yet it is the beginning of a transformed life. Addiction treatment facilities understand this and make the admission process as simple and comforting as possible. All it takes is for an addict to contact and admissions specialty and help them with the process. At the intake stage, the patient literally enters the facility and completes all the administrative processes. At this stage, the staff at the treatment facility ensure that the patient doesn’t bring any illegal such as drugs or weapons into the center. Through the intake, the patient starts off on the right foot for their treatment to be effective as possible. Furthermore, it is necessary to protect the safety and sobriety of all the other patients and staff. An assessment is useful for the medical and clinical staff to determine their specific needs. The patient will be questioned on what drugs they are addicted to, the duration of the addiction and whether they have any mental conditions that they are taking medication for. Why are these questions paramount? They help the staff customize a recovery plan that maximizes an individual’s chance of success. For many addiction treatment centers, assessment is an ongoing process. The assessment is continuous to make sure their needs are being met. These are just a few of the withdrawal symptoms. Partially medicated detox where the patient only uses medication to treat some of the symptoms but the patient is not dependent on them. Fully medicated detox where the patient relies completely on prescribed drugs to treat the symptoms. For example, alcoholics need medication throughout the detox process because alcohol withdrawal can have severe side effects like seizures. A detox is not restricted to medications only since the treatment facility can decide to incorporate other forms of treatment during the detox. While some people may decide to self-detox or do a “cold turkey” detox which is the complete stop of using the addictive substance, it is not recommended because anything can happen, including death. Today, there has been talks of a rapid detox where addicts are given anesthesia to “sleep” through the withdrawal symptoms. However, some medical professionals are against the procedure since it has its own difficulties. An addict does not need to risk their life all for nothing. Once the treatment process has began, they should undergo a medically supervised detox because it is much safer, more comfortable and has higher chances of being successful. Inpatient care is where a the patient resides in the facility. They receive a number of treatment, therapies and services to recover in both the short term and the long term. Inpatient treatment varies from facility to facility. Many of them are designed to help patients learn more about themselves, to understand their addiction and triggers and finally to gain valuable skills. Inpatient care is important to help a patient get to the point of sobriety, receive knowledge, skills and habits in order to remain free from addiction once they leave the facility. Outpatient care is similar to inpatient care with the only difference being that outpatient care is non-residential. The patient can receive treatment and go back home after the sessions. Outpatient treatment is helpful for addicts who need support from family and friends during the addiction treatment process. This follows after an inpatient program. During intensive outpatient program, patients leave the inpatient facility but join a supportive group of other recovering addicts. They can return to the facility for any additional treatments several times a week. IOP treatments are not available in every addiction treatment facility. Some centers have them while others do not. For the facilities that do, they help the patients directly move directly from inpatient care to intensive outpatient programs. In case the addict is receiving treatment from a program that does not offer IOP programs, then they can find a separate program. Intensive outpatient programs are very advantageous because they allow patients to test themselves and their sobriety skills acquired during treatment in a real life setting. these preparations are necessary for a smooth transition after treatment. This is the final stage of treatment where patients complete their administrative processes and leave the treatment facility. During the release stage, facilities often provide final assessments in order to provide additional advice and guidance to patients. The release stage ensures that patients are ready to begin their new life. Aftercare is a lifetime process for patients will in one form or another. 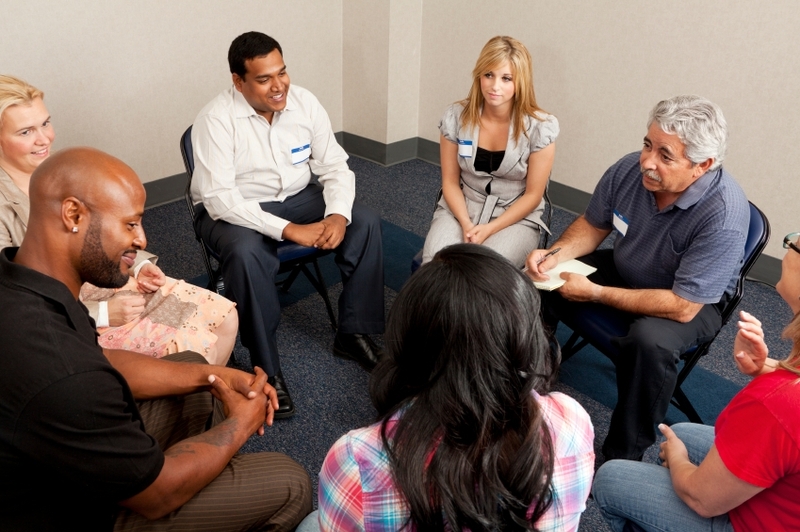 In the aftercare program, patients participate in ongoing treatment programs such as therapy or 12 step groups so that they can maintain their sobriety indefinitely. The routine of aftercare treatment will depend on the individual and the options available to them. Successful treatment facilities, have a variety of aftercare options. Furthermore, they aid in setting patients with the right third party aftercare suppliers. Aftercare is necessary for every addict and they should be willing to go through the process. Finding the right support during aftercare will make the difference in the success or failure of the treatment process. Similar to aftercare, alumni participation is a lifetime process which patients engage and maintain relationships with others who have successfully completed the treatment process. A couple of treatment facilities have alumni participation programs with alumni coordinators on staff. For centers that don’t have alumni facilities, patients form their own programs. Alumni programs differ from rehab center to another. Some activities are: 12 step meetings, social gatherings, continuous education and support. Alumni programs are always a good way for the those who complete the treatment process to give back to others who are just beginning the process. Financial costs: the treatment process has to be undertaken in a treatment facility which will cost some money. The cost depends on the type of treatment program chosen. Furthermore, some medications used in the detox part of the process are expensive. Social costs: the patient will have to let go of some friends, activities and lifestyles if they want to complete the treatment process successfully. Time costs: the patients will have to sacrifice their time to complete the drug treatment process. For example, those who choose the inpatient program will have to commit their time to the facility for a certain duration of time for the complete treatment process. Family and friends will also have to sacrifice their time to give needed support to the patient. Mental costs: treating an addiction can take a toll on one’s mental energy and strength so the patient can easily give up. However, to go through the treatment process, they will have to master all their courage and decide to follow through with their decision. The family and friends will also have to come in and offer emotional support to the patient who greatly needs during the process. Personal cost: addiction treatment begins after getting rid of denial and accepting that the situation is bad and needs redemption. The addict will have to forego their personal needs for the sake of their wellbeing and most importantly that of their loved ones. During the process, it becomes less about them and more about their loved ones. The addiction treatment process is just one part of the recovery process. There different aspects of recovery as discussed below. This stage is marked by the growing awareness of an existent problem. The realization maybe a result of conversations with family, friends or workmates. In other cases, it may stem from health, financial, work and legal problems arising from the addiction. The addict may still be abusing drugs and has not made the decision to seek treatment but this step is critical in paving way for the recovery process. But the most important aspect of this stage is transition. An understanding that the mere realization of the problem to the acknowledgement treatment is needed. The addict needs to come from a place of denial to a willingness to make a change. Now, this stage involves a shift from awareness to action. The patient is now ready to take the first step to recovery. This involves learning more about addiction and its impact in his/her life and those around. At this point, the addict realizes that it is not just about themselves but also those affected by the addiction. After information gathering, an addict can then transition from awareness to action. They may not be actively pursuing treatment but they are headed in that direction. Inpatient rehab treatment is residential care where addicts receive treatment on a full time basis. Outpatient care treatment where patients receive treatment several times a week and go back home after the treatment. Holistic rehab is treatment where addicts receive holistic treatment which may include yoga, meditation and acupuncture. Dual-diagnosis rehab which offers treatment to patients suffering from an addiction and a mental problem simultaneously. Such a program helps to treat the mental condition and the addiction as well. Gender based treatment for addicts who prefer to recover in the presence of the of people of the same gender. Teenage rehab which is specializes in treating teenage addicts. The programs and treatment process is specially tailored to cater for the specific teenage needs. At this stage, there is both significant and risky. Here, the addict stops using the substance they were addicted to and they are continuously learning how to stay drug free in the long haul. With this step, they become more vulnerable because they have to abandon people, activities and lifestyles that have been significant in their lives. Such abandonment is necessary in order to fully establish the foundation of a drug free life. It is not surprising that relapse is prevalent in early recovery. A relapse is dangerous for any addict. Therefore, in early recovery the patient develops new coping skills and healthy habits. They also begin to remedy broken relationships. Recovery is definitely not easy but at the fifth stage, the addict begins to enjoy a life they scarcely thought they would ever live. The treatment process is just the beginning of recovery. Recovery is not just about overcoming an addiction of any kind but it is the complete transformation of mind, body and spirit. For some, they will easily go through recovery with the help of family and friends while for others more education and skills will be required from a drug rehab. The addiction treatment process is without a doubt costly and not so much about finances. It has its demands on every addict, family and the society. Of these, the patients bear the most weight but they should be encouraged that it is possible to complete the treatment process successfully. The government and all parties involved should be on the front lines of ensuring that every addict receives the treatment they need. It will significantly reduce the costs addictions bring. Nevertheless, it has never and will never be about the money. It is about the lives that need to be transformed.